The first line of a poem is the door or the step or the window into a poem. It invites the reader in. It might be short and it might be long. It might be surprising, funny, elegant or give a clue. It might have an extremely delicious word in it. 1. Go on a hunt for first lines in other poems. Which ones do you like? Choose a favourite first line and then write a poem to go with it. Tell me where the first line comes from in a note at the bottom. 2. Or test out some of your own first lines and then pick one to write a poem for. A leaf is just the beginning. 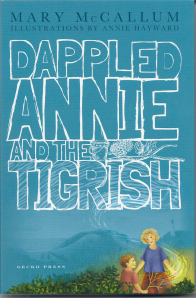 This is the first line to her new novel for children, Dappled Annie and the Tigrish but I think it would make a great first line for a poem. I am about to fly to Wellington so I have her novel in my bag to read it. I can’t wait as the title of the book and the first line hooked me. I will let you know what I think of it! It is published by Gecko Press 2014. Send to paulajoygreen@gmail.com. Include your name, year, age and name of school. You can include your teacher’s name and email. PLEASE say it’s for the first-line, poem challenge. I will post my favourites and have a book prize for one poet. I might be able to give you a copy of the book. 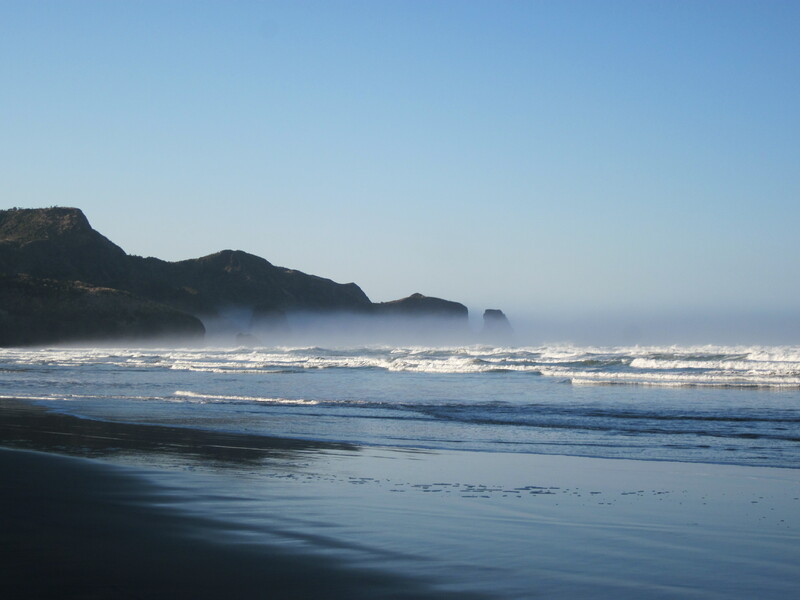 This entry was posted in NZ Author, Poetry and tagged first lines, poetry challenges, poetry tip on February 28, 2014 by Paula Green. Scholastic and Random House: I am whooping and dancing with JOY! LAST DAY for your sound poems to come in! Meanwhile I have been very busy with my two children’s books in production. A TEAM of people always work on a book (like a busy, buzzing beehive making book honey!). I have just seen the illustrated pages for my book A Letter Box Cat and other poems and I am OVER the MOON. The illustrator, Myles Lawford, has done a crackingly good job and Dana the designer has made them come alive on the page so beautifully. (sshhh! I cried when I saw them!) Thank you Scholastic! This book is out in AUGUST! And my other book is sending me to Mars and back I am so delighted. Jenny Cooper is working on the most heavenly illustrations and every time I see a new batch of pages I whoop and dance in my study. Yes, I whoop and dance! It is going to be a beautiful book thanks to the team at Random House. Thank you! This book is out in OCTOBER. I have loved working with these two publishers. It is a treat and it is a privilege. 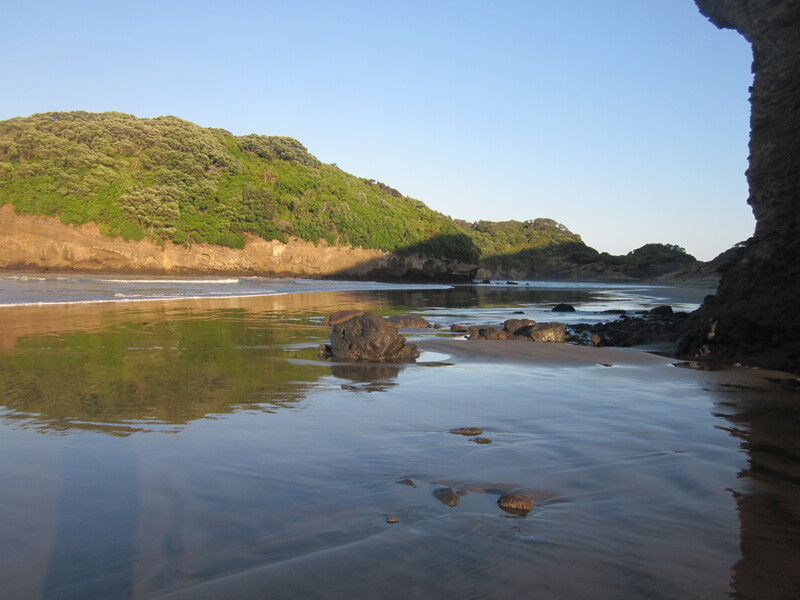 This entry was posted in NZ Author, Poetry and tagged Paula Green on February 27, 2014 by Paula Green. When I collect a poem should I walk or should I run? Poems gather in my head as though my head is a butterfly net. Usually I walk along the beach in the early morning, but this year I have decided to run. It is an altogether different way to gather poems. But I really like getting into the rhythm of running. This morning the tide was fierce and full — racing up the beach and then racing back leaving it like a shiny mirror to see my reflection in. I wondered what running would do to my poems this year! Try going for a walk and seeing what bits of poems pop in your head. Try going for a run and seeing what poetry pops in. 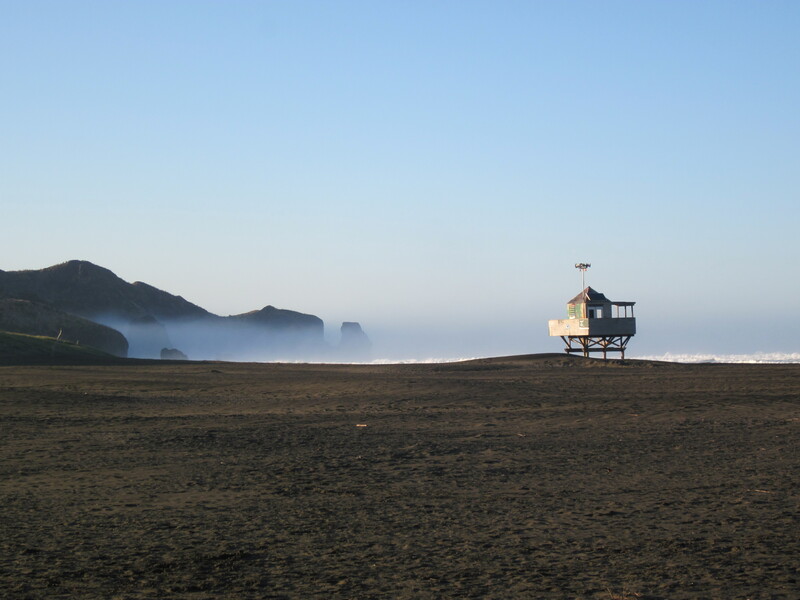 The beach was a JOY to see this morning — even the mist hanging down the end telling me summer is nearly at end. I wonder how long I can keep up my early swims? See my photos below. 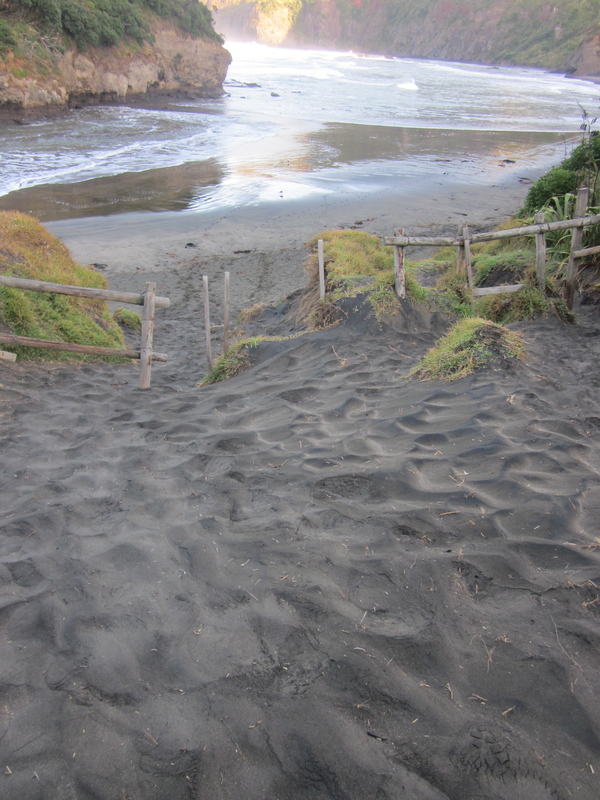 The steep bank I run down doesn’t look that steep … but it IS!! Tomorrow is the last day (February 27th) to send in your SOUNDing GOOD poems … then March will be a new challenge! This entry was posted in Poetry on February 26, 2014 by Paula Green. It was fun reading poems about your favourite summer moments. I have picked FOUR to post. Congratulations! Do keep sending you poems in even if you missed out this time. I have a book prize for Gemma. 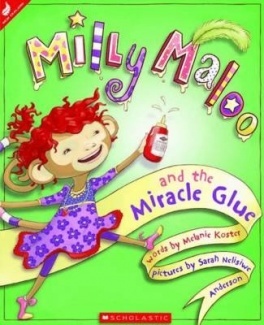 I am sending her Millie Maloo and the Miracle Glue by Melanie Koster and illustrated by Sarah Nelisiwe (Schoalstic 2011). This a picture-book story with lively lines and a plain hat that has an adventure (Millie is a girl after my own heart as she loves ‘poetry, pottery, painting and dance and three times a year she hitchhiked through France’). Melanie not only writes books but works with children at Russley School. Thank you for donating this prize! P.S it was in my pool!!!!! This entry was posted in Poetry and tagged poems by children on February 25, 2014 by Paula Green. I am so delighted that The New Zealand Book Council is supporting Poetry Box in various ways this year, I wanted to let you know what they do for schools. I have worked with them for years through their Writers-in-Schools programme, author tours and special events such as Speed Date and Author. Why should I subscribe our school to the NZ Book Council? The NZ Book Council’s ‘Writers in Schools‘ programme is focussed on creating future generations of kiwis, who read for pleasure as much as they read out of necessity. Your subscription helps us to use talented writers, poets, illustrators, playwrights and photographers, to reach children and schools throughout NZ, and gives your school a stake in the future direction of this important charity. Access to funding for a half day school, museum or art gallery visit from an NZ writer or illustrator. Subsidised tours of writers and illustrators travelling to schools beyond their local region. First chance to subscribe your students to special school events around NZ, including ‘Speed Date an Author’ events. A say in the future direction of the NZ Book Council and its work with schools – including the development of interactive Skype visits, videos and other resources. Quarterly newsletter and School Library e-magazine. Quarterly review competition for students. Quarterly opportunities for your school library and your students to win a prize pack of Scholastic books and be published at www.bookcouncil.org.nz. Quarterly chance to win a free 12 month subscription to the NZ Book Council. This entry was posted in Poetry and tagged New Zealand Book Council on February 24, 2014 by Paula Green. Margaret Mahy’s adjectives SOUND good — so here’s a challenge for you! The New Zealand Book Council has been on the hunt for New Zealand’s best loved book (a classic book). It will be announced at a special session at the Auckland Writers and Readers Festival in May. I was invited to send in my pick and the first book that popped into my head was the book that stayed in my head for all kinds of reasons. I was OVER the MOON that I had picked a children’s author. 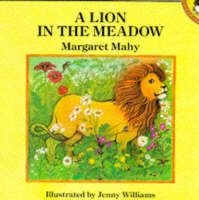 I picked Margaret Mahy‘s The Lion in the Meadow. They will post the reasons why, but I will tell you one thing. She is really good with adjectives in the book. Margaret would have PLAYED with these adjectives until she got them SOUNDING just right. How DELICIOUS they are to say out loud! OR ANY ANIMAL or BIRD you like! Once you are happy with your line use it in a poem (you can use it more than once)! You can enter you list poem in the February sound-poem competition. Send to paulajoygreen@gmail.com. Include your name, age, year and name of school. You may include your teacher’s name and email address. I am posting my favourites and will have a book prize for one young poet. 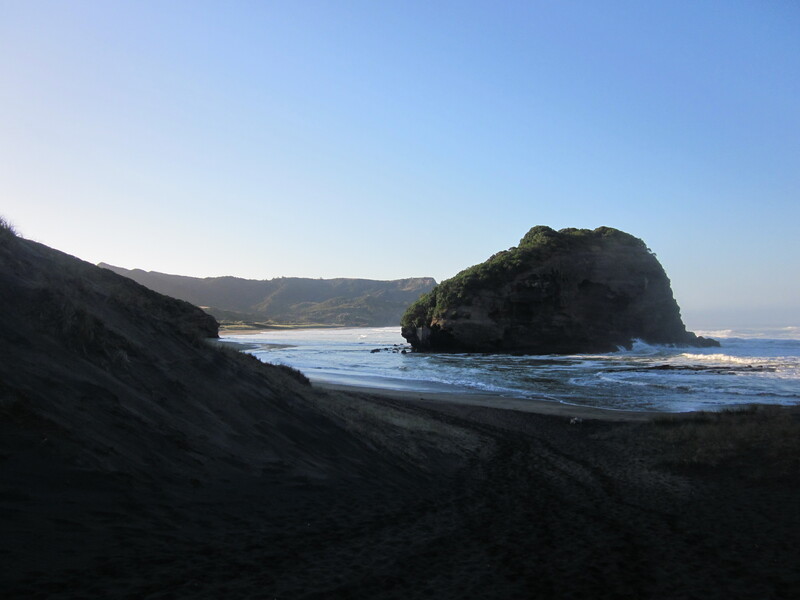 This entry was posted in Poetry and tagged Margaret Mahy, Poetry challenge, sound, sound poems on February 21, 2014 by Paula Green. Poetry Box Tip will be useful when you are writing your poems for the sound competition. It is really good to LISTEN to your poems. Say them out loud. I always say my poems out loud as I am writing them. Then when I have finished a draft I read the whole thing out loud to the birds and the dogs and the cats. My ears will catch a word that doesn’t sound right, or a line that doesn’t seem to belong. Listen to the rhythm of each line. Do you stumble on a line when you say it like you have hit a traffic jam? Listen to the word at the end of the line. Listen out for words that sound really juicy, delicious, surprising. Listen to someone else read a poem. Which word catches your ear? I am going to give lots more tips on sound over the next year but for now think of your ears as an important tool when you write poetry. When I say my poems out loud, I like to listen to the sound of one word when it is next to another word. Remember there is no one right way to write a poem. Poems are golden opportunities toPLAY. The poem-that-sounds-good competition is due February 27th. This entry was posted in Poetry and tagged poems by children, poetry tip, sound, sound poems on February 20, 2014 by Paula Green.